Ari had (this made) in memory of Osyrg, his father. Tíðkumi carved the runes. 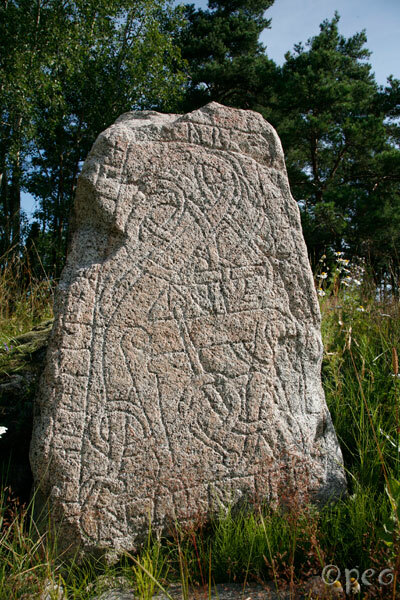 This fine rune stone was made by Tíðkumi. Like Balli he was one of the rune-masters, and he also made U 758, U 759 and U 775.